The philosopher Richard Tarnas is noted for an unorthodox approach. After graduating from Harvard, Tarnas opted to become Director of Programs at the Esalen Institute (California) for a decade. In that capacity he was closely associated with Dr. Stanislav Grof, an Esalen resident (from 1973) whose “cartography of the psyche” became fluently accepted in alternativist circles, though dismissed by the academic world in general. Earlier, the doctoral thesis of Tarnas was on the subject of LSD psychotherapy, the speciality of Grof, whose extensive programme in this subject is elsewhere contested. The thesis was entitled LSD psychotherapy, theoretical implications for the study of psychology (1976). During the 1970s, Tarnas was already a supporter of Grof. He has since gained repute amongst the defenders of Grof as a vindicator of the controversial LSD psychotherapy. This support was explicated in terms of “archetypal astrology,” a resort of Tarnas which claimed to correlate the perinatal matrices of Grof transpersonal theory with an “archetypal” version of planetary influences. The planets Neptune, Saturn, Pluto, and Uranus were here major players. Esalen transpersonalism, dominated by Grof, favoured such innovations. 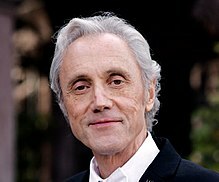 Tarnas became a professor of philosophy and psychology at the unorthodox California Institute of Integral Studies. His version of those two subjects became influential in his widely read book The Passion of the Western Mind (1991). This offered a version of Western thought from the classical Greek era to the modern and “postmodern” phases. Grof theory is elevated in the epilogue. For a coverage, see Philosophy, Richard Tarnas, and Postmodernism (2010). In two subsequent books, Tarnas demonstrated his strong orientation in astrology. His Cosmos and Psyche (2006) is a lengthy and sustained account of astrological complexities. A basic contention of Tarnas is that planetary configurations influence patterns in human events. Astrology does have some adherents, and also many critics. A critical citizen stance in relation to “holotropic” matters can be found at Grof Therapy and MAPS (2007). See also Contesting Grof Transpersonal Training. The transcript of a radio interview with Richard Tarnas is of interest. There is reference to the ecological situation, with the observation that “we cannot continue to live according to the same assumptions with which we have lived blithely for the past several hundred years.” The basic contention here is surely correct, a complication being that so many relatively obscure insights are lost to view in the “new age” jettisoning of pre-1960s events. There is another largely undiscerned problem. Tarnas refers in his interview to the well known theme that “modern science has essentially voided the cosmos of all intrinsic meaning and purpose.” He adds: “It is only, I think, through going through a profound inner transformation, and also an intellectual transformation, that one can see beyond that crisis.” There are so many people who claim transformation that the issue becomes one of authentic transformation. Indeed, this situation necessitates the urgent remedy of a basic sanity avoiding all claim to transformation of any kind. There is further talk, in the Scott London-Richard Tarnas interview, of paradigm shift [a subject which has acquired varying preferential interpretations). Tarnas also refers to Grof’s theme of “the death-rebirth process,” meaning ego death and spiritual rebirth. That theme, based upon LSD experiences, has been regarded as very misleading by analysts of mystical literature. LSD experiences in “psychotherapy” were given an elevated mystical significance by Grof. The scope for disagreement is extensive (Shepherd, Minds and Sociocultures Vol. One, 1995, pp. 70-73). 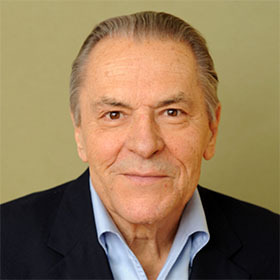 The Grof-derived viewpoint of Tarnas extends to pop music, and includes the statement: “I feel that Madonna’s combination of these very different [“perinatal”] impulses is reflective of the fact that our whole civilisation is going through the birth process, this initiatory transformation.” Critics urge that no transformation is in process. What is utopian and livable varies markedly according to temperament and appetite. A well known account of Rolling Stones anomalies, in the 1970s, describes a preoccupation with cocaine and heroin. The author, a close attendant of Keith Richards, relates how his girlfriend died after a bad reaction to the heroin substitute methadone. When the attendant tired of this confused lifestyle, he went into rehabilitation. He again encountered Richards in a hotel room at New York. The celebrity did not wish Sanchez to author a book about the past, and pulled a gun on him. There was no shooting, only the book that subsequently materialised. See Tony Sanchez, Up and Down with the Rolling Stones (1979; repr. 2010). Cf. Keith Richards, Life (2010). Some citizens believe that it is not necessary to obtain “integral studies” doctorates in order to analyse the context of theories and statements.